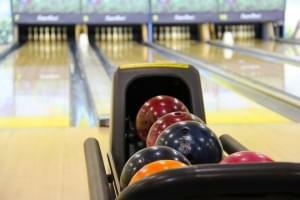 In Boys Bowling, the Dixon Dukes took down the Sterling Golden Warriors Tuesday night at Blackhawk Lanes by a total pinfall of 3247 to 2816. The Dukes were led by senior Tyler VanQuathem with games of 202, 196, and 193 (591 series). High game of the night for Dixon went to freshman Brennan Erb with a 214. Sterling’s Carter Schlegel led all bowlers with a 695 series.